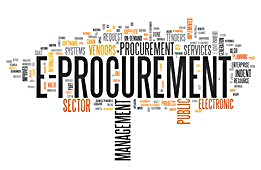 E-procurement is the business-to-business and business-to-government purchase and sale of supplies and services through the Internet. While maintaining process transparency, e-procurement helps both buyers and suppliers reduce the processing time and unnecessary paper work. The seamless integration of E-Lock solutions with existing e-procurement applications offers the necessary security, authentication, confidentiality and non-repudiation to the transacted data. In a typical e-procurement process, it is critical to have data authentication and verification to preserve accuracy and accountability. Once the submitted data is signed digitally it becomes legitimate, facilitating security and convenience. The entire data is sent in an encrypted format, and the decryption and verification process takes place at the server level. Later, it goes for further processing. At present, OIL India Ltd uses an E-Lock digital signature solution in its e-procurement application. With our customized solution (DeskSeal Web + FormSeal signing capability), OIL India is providing its vendors with digital signing of data through their e-procurement website, along with the authentication process.